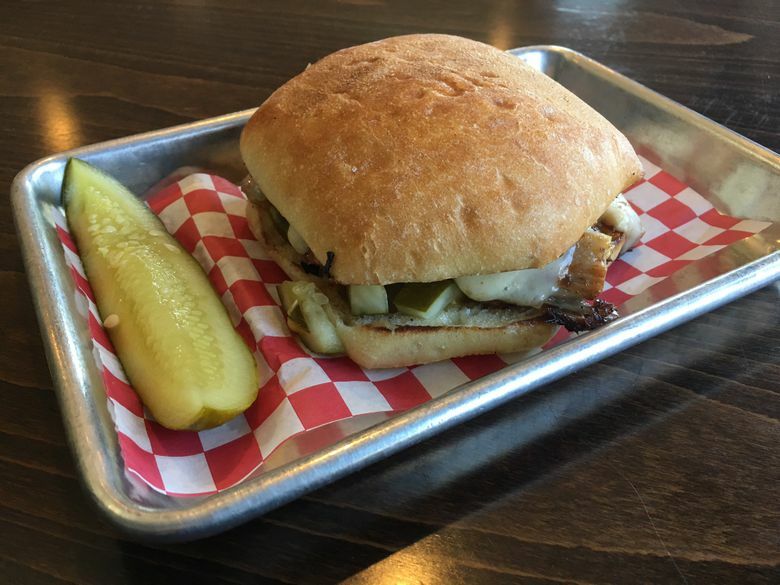 From the people behind the Now Make Me A Sandwich food truck comes a Greenwood brick-and-mortar with the same inventive sandwich favorites. You’ve seen the truck: the one with a giant viking wielding a speared hoagie. You’ve either giggled or groaned about the name: Now Make Me A Sandwich. 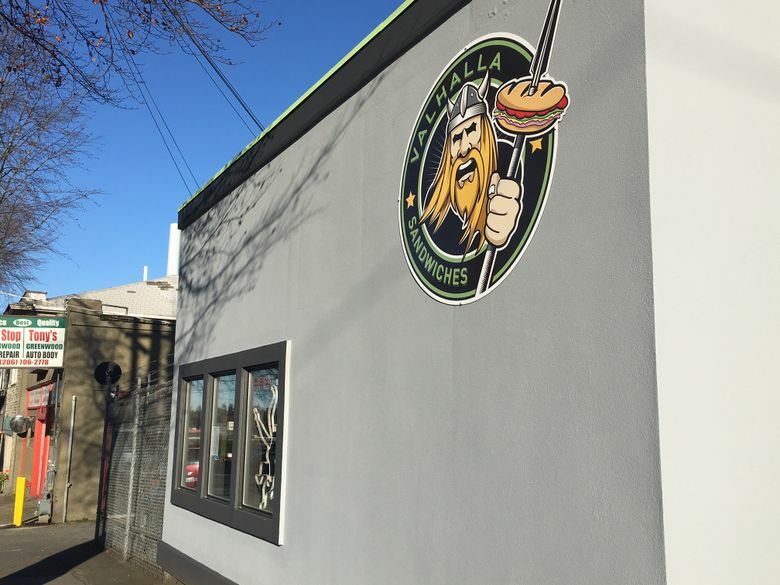 Now the owner of the popular, grilled-sandwich-slinging food truck, Ryan O’Toole, has opened a brick-and-mortar location in Greenwood, ditching the name and opting for a more straightforward Valhalla Sandwiches. Name change aside, the restaurant feels much like the truck, casual and low key, with the focus on serving warm comfort food. The building has the same large viking on the gray exterior wall, and inside, his helmet rests on a water dispenser. It has a cafeteria-esque vibe and plenty of room for people to relax and enjoy their meal. The menu: There are all the sandwiches you’ve come to know from the truck: Thanksgetting (a riff on everyone’s favorite leftover-turkey sandwich), El Duderino (chicken breast and chorizo), the Reubenator, etc. There are a few more here, 15 in total, with a new selection of soup and sides, namely tots (both sweet potato and regular), home fries and chipotle mac salad. Here you can make your sandwich a bowl, serving it on a bed of arugula or home fries. 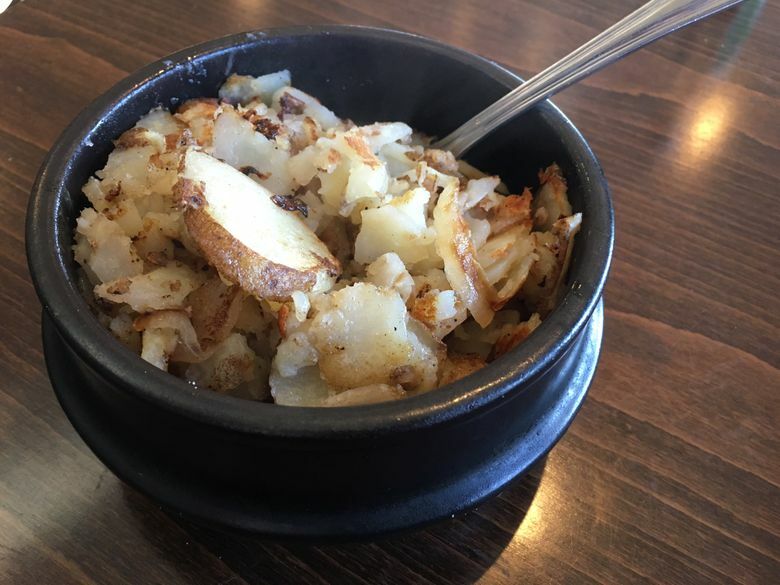 And those home fries are tasty: order them as a side for 3 bucks and you get a large bowlful, thinly sliced with crispy skin and great flavor. 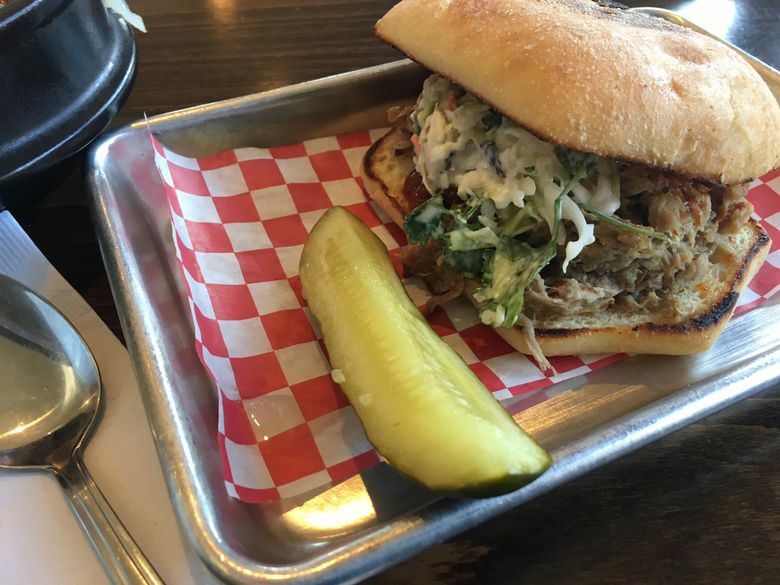 What to skip: The eponymous Valhalla Pork sandwich didn’t stand out. The pulled pork was topped with a chipotle BBQ sauce and an apple-jalapeño slaw that gave neither hints of apple nor jalapeño. 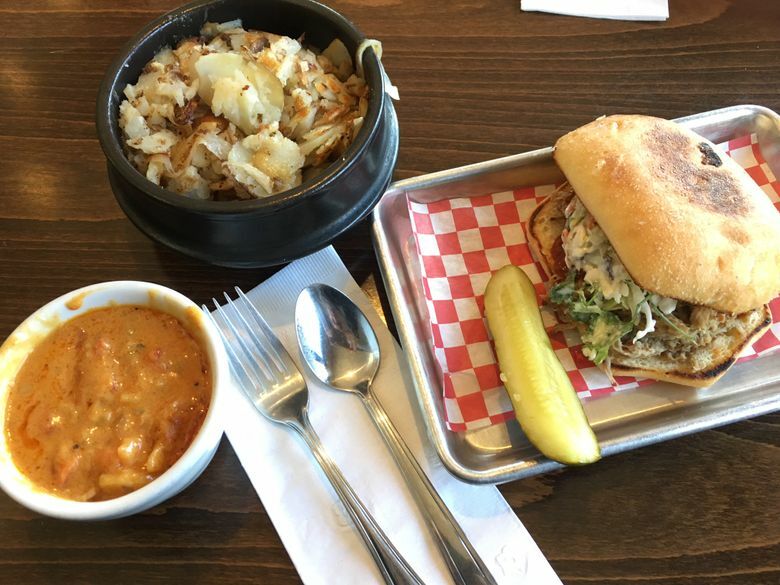 A solid pulled-pork sandwich, yes, but it’s not as inventive as the rest of the menu. The soup was a thick, gloppy curried Viking Stew, with little curry flavor. Focus on what they do best here: sandwiches. A tip: Make use of the punch card — buy 10 sandwiches, get one free — which works both at the shop and the truck. 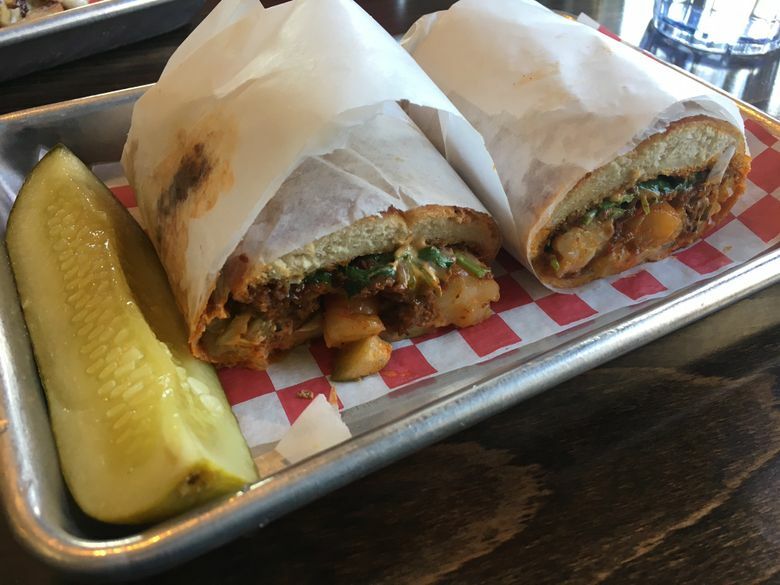 Prices: Valhalla Pork sandwich ($8.25), Fidel Cashflow sandwich ($10), Shrimp Po Mofo sandwich ($11), small soup ($3) and home fries ($3) totaled $35.25 before tax and tip.